Książka w obszarze polskiej literatury społeczno-politycznej jest szczególnie cenna i godna polecenia. Uzupełnia bowiem w tym względzie brak tego typu opracowań w polskiej literaturze filozoficzno-politycznej i stanowi doskonałą pomoc dla studentów filozofii polityki i politologia, a także dla wykładowców i polityków oraz także humanistów. Książka ukazała się w nowej serii wydawniczej "Monografie i studia z filozofii realistycznej". The author - an outstanding expert in political philosophy – enters into discussion with the social theories dominant in contemporary political philosophy, revealing the sources of their creation and paradoxes to which they lead. At the same time entering into discussions with contemporary political theories, he proposes his own solution, which is called the “neoclassical” theory. The author came to the conclusion that after the collapse of the Soviet Union and the collapse of the communist system, Marxism will not be decisive in the process of change that will occur in Europe and the world, but liberalism. Hence his confrontation with Possenti is considered a matter of utmost urgency. The book consists of three parts: in the first, entitled “The Theory of Political Form” the author considers various forms of social life and directly related issues such as natural law, the common good and the category of persons. In the second part, entitled: “Practical Reason and Social Philosophy”, the author discusses the issues of justice, issues of work and technology and religion. Then, in the third part of the book, entitled: “Democracy and the State” the author reveals the relationship between state and society and discusses the functions of the state, and issues related to democracy. The book is particularly valuable and commendable in the field of Polish socio-political literature. 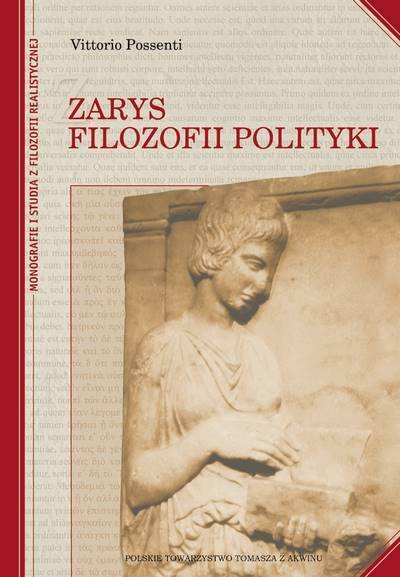 It supplements in this regard lack of such studies in Polish philosophical and political literature, and is a great help for students of political philosophy and political science, as well as for teachers and politicians, and also the humanists. The book was published in the new series "Monographs and studies of realistic philosophy."